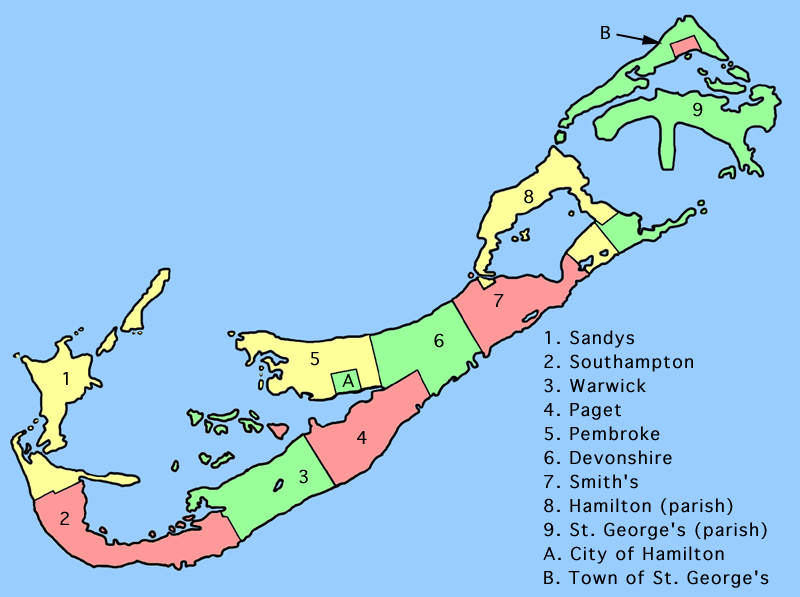 Bermuda is a British Overseas Territory in the North Atlantic Ocean. 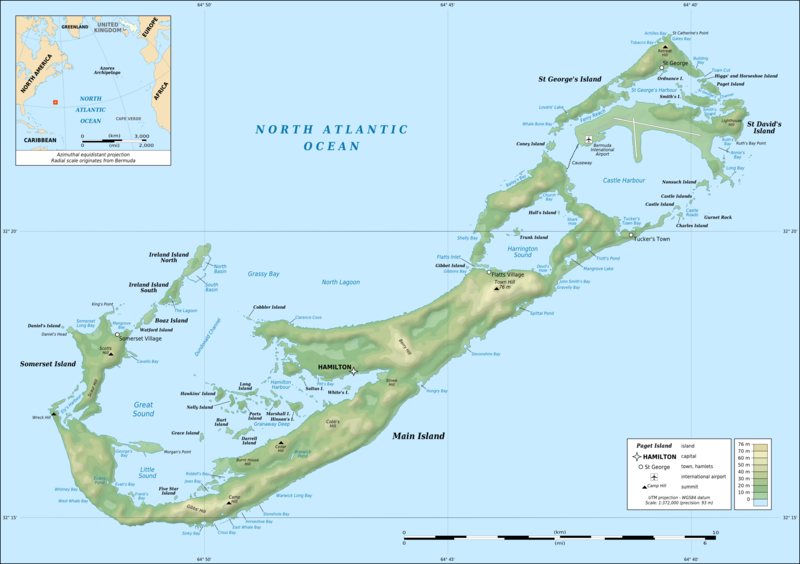 Bermuda makes up the easternmost point of the so-called "Bermuda Triangle," a region of sea in which a number of aircraft and surface vessels have allegedly disappeared under mysterious circumstances. Cruise Line's call this port call destination, King's Wharf. Ships dock at the old Royal Naval Dockyard on Ireland Island located in Sandys Parish. The Royal Naval Dockyard in Bermuda was the principal base of the Royal Navy in the Western Atlantic. After the closure of most of the base as an active naval dockyard in 1957, the base fell into a state of disrepair. Storms and lack of maintenance caused damage to many buildings. Beginning in the 1980s increased tourism to Bermuda stimulated interest in fixing up the dockyard and turning it into a tourist attraction. Currently, cruise ships regularly land at the dockyard during summer months. There are two berths - King's Wharf and Heritage Wharf (added 2009) The berths are situated in the historic naval dockyard complex at the extreme 'western' end of Ireland Island, beyond Somerset. This is currently the only location in Bermuda that can accommodate the largest of cruise ships. Bermuda has a mild, humid subtropical maritime climate though gales and strong winds are common in winter. The hurricane season is from June to November. The islands receive ample rainfall but no rivers or freshwater lakes. As a result drinking water is collected on the roofs of all buildings (by law) and in special catchment areas, and stored in tanks under the ground for each home or property. It is not possible to rent a car on the island; however, visitors can hire scooters for use as private transport, or use public transport. Ferries, buses and the Bermuda Train are easily accessible. Attractions include museums, restaurants, shopping, transportation hubs and more. Royal Dockyard map pdf. Visit Shipdetective.com's profile on Pinterest.